The Phantom Diaries (Phantom Diaries, book 1) by Kailin Gow. What happens to the Phantom after the tragedy at the Paris Opera House is the basis for this fantastic tale of The Phantom Diaries, loosely based on Gaston Leroux's classic, The Phantom of the Opera, but with a new tale and a modern twist. This new series for older teens and young adults is told through the eyes of 18 year-old Annette Binoche, who lands a job at the New York Metropolitan Opera House as a seamstress' assistant only to become the lead singer of the Opera House, with the help of the mysterious, yet highly-seductive Phantom. What is going on with the Opera House and how is the masked musician connected to events from over a century ago? The Phantom Diaries is a fast paced romantic adventure filled with passionate characters and a haunting tale of love, betrayal, and obsession. A tragic legend, and an unearthed tale of black magic and revenge lend a chilling backdrop to this story of heat and passion. Every man falls for Annette, but in the end, who can she trust and who will she love? I enjoyed The Phantom Diaries and am looking forward to reading Dark Memories the second book in the Phantom Diaries series. I will warn you that The Phantom Diaries has a cliff-hanger ending that will leave you waiting impatiently for Dark Memories to release October 2010. I would recommend The Phantom Diaries to readers of romance, mysteries, fantasy, thrillers, and especially to fans of steamy paranormal romance. As an aside, I would like to mention that the editing for this book left a lot to be desired. I hope that a different editor is used for the other books in this series. If poor editing makes it difficult for you to become immersed in a book, then you may want to hold out for a later edition. Source: This book was provided by the author and/or book tour for an honest review. The Phantom Diaries on Amazon . 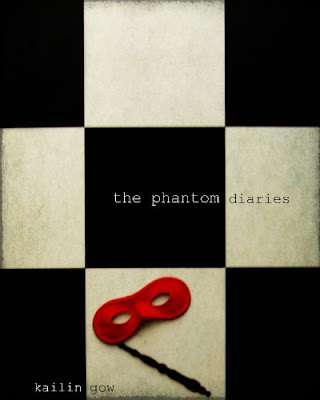 The Phantom Diaries on Goodreads. Sounds like an amazing premise! Unfortunately I'll have to wait, because editing issues do make me cringe :). Thanks for sharing! Sounds like a great read - I willdef look out for this one. Hi, E.J. Recently I was given an award. Now I have given it to you. Your blog is one of those that I check in on rather regularly, and this is just a little way that I can spotlight the work that you have been doing. Keep it up! Please stop by when you have a moment and claim your prize.